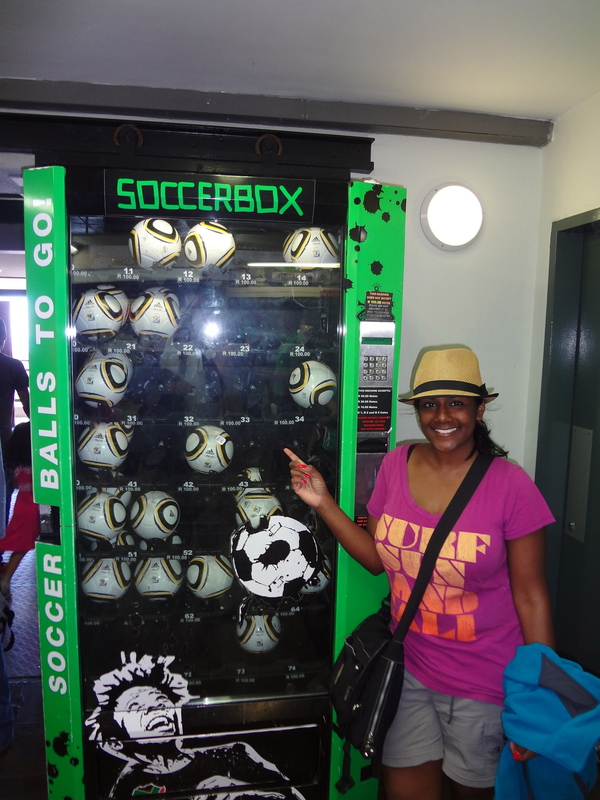 After a strenuous, but worthwhile, hike up Table Mountain in Cape Town, South Africa, I came across “Soccerbox: The first soccerball vending machine in the world.” I’ve never seen one elsewhere, have you? 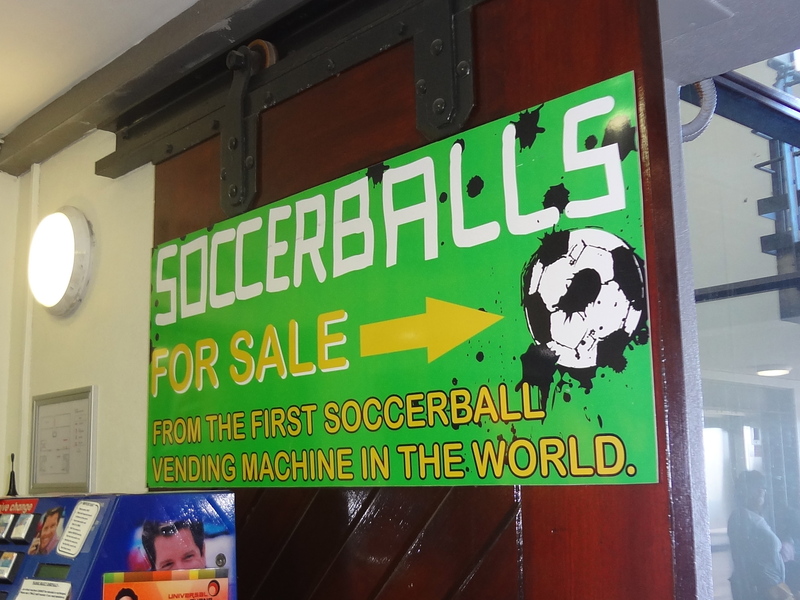 While I wasn’t in the market for a soccer ball myself, I wondered how many people actually purchased one from this machine. I must admit, it’s quite a novelty! 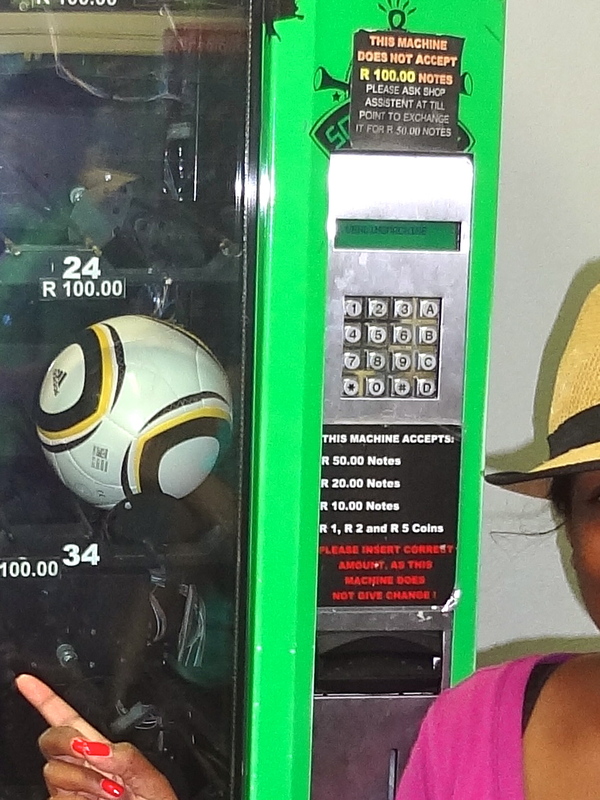 I thought it was pretty funny that the soccer balls cost 100R (roughly $11.50 USD), yet the machine did not accept 100R notes! What’s the most unusual vending machine you’ve seen during your travels? I bought 2 when I was there! One each for my niece and nephew! I think Tash and Aurora each got one too! That’s awesome!! I suppose the soccerbox might be a profitable venture after all! Makes me wonder what other unique vending machines are out there!